The Facebook engineer who wrote a memo decrying what he called the company’s “intolerant” liberal culture has quit. 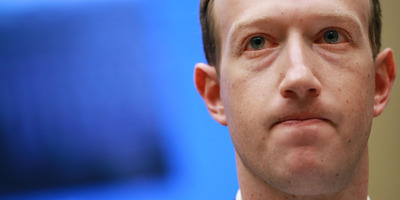 The Facebook engineer who sparked an internal firestorm at Facebook with his criticism of what he called a “political monoculture” that is “intolerant” of conservatism, is leaving the company. Amerige sprung to prominence in August 2018, when he wrote an internal memo decrying what he described as the Silicon Valley’s company’s “intolerant” culture. “We are a political monoculture that’s intolerant of different views … we claim to welcome all perspectives, but are quick to attack – often in mobs – anyone who presents a view that appears to be in opposition to left-leaning ideology,” Amerige, who politically identifies as objectivist, wrote. The writing proved controversial, and subsequently sparked the creation of an internal group, on Facebook’s Workplace messageboard, “FB’ers for Political Diversity,” where hundreds of conservative employees protested the company’s practices. Posters promoting the group and attacking the “outrage mob” appeared around campus, and debates among employees have broken out across Facebook Workplace over the company’s approach to politics. Meanwhile, liberals have stridently challenged allegations of anti-conservative bias at tech firms. Bernie Sanders recently pointed to top Facebook lobbyist Joel Kaplan’s hosting of a party to celebrating Brett Kavanaugh’s confirmation to the US Supreme Court as evidence against conservative critics’ claims, as well as Google’s donations to conservative group the Federalist Society. Amerige wrote: “I’m leaving because I’m burnt out on Facebook, our strategy, our culture, and our product. While the memo criticises Facebook’s “culture” and leadership, it also discusses less politicised issues Facebook is facing, from the decline in sharing in Facebook’s main app to team structure. Do you work at Facebook? Got a tip? Contact this reporter via Signal or WhatsApp at +1 (650) 636-6268 using a non-work phone, email at [email protected], WeChat at robaeprice, or Twitter DM at @robaeprice. (PR pitches by email only, please.) Y ou can also contact Business Insider securely via SecureDrop.